“I need to read The Bible for Dummies.” I had just finished teaching what I thought was a very clear study on the birth of Jesus and its implications when a member of my small group made this comment. When I asked my friend why he felt confused, I discovered that he didn’t find the lesson unclear, it was just too much information too fast. He had some important questions, too, questions that would have made for wonderful discussion in our group if I hadn’t been so focused on getting through my notes. In my zeal for teaching the lesson I had prepared, I left this brother behind and created an environment that discouraged dialogue. The Bible calls us to encourage one another with the words of Scripture and speak truth in love to one another (1 Thessalonians 4:18; Ephesians 4:15). Sitting under faithful, passionate biblical preaching is not enough. In perhaps the most important passage on the value of studying the Bible, Paul tells Timothy that God’s Word is useful “for rebuking, for correcting, for training in righteousness,” uses of Scripture that imply dialogue and discussion (2 Tim. 3:16-17). What distinguishes small group Bible study from the Sunday morning sermon is the fact that in small groups we study the Bible together. So small group leaders should see themselves as study leaders rather than information providers. Certainly group members may ask questions that derail discussion or make comments that contradict the Bible’s teaching, but a good small group leader embraces such moments as opportunities to follow Paul’s challenge to faithfully and lovingly use the Bible to offer correction (2 Tim. 3:17). As small group leaders we all have wonderful, important, and interesting things to say to our groups, but the meeting isn’t about us. It’s about Jesus and His Word and His bride, the church. It’s about coming together to process and apply the gospel to every area of our lives. Rather than power through every teaching point and discussion question in your notes, focus on helping your group members take ownership of the meeting. Ask questions that force them to dig into and apply the Bible to their lives. Give group members time to think about the questions you ask. Encourage them to ask questions and patiently answer the questions they pose. Two of the most important elements of a fruitful small group are an environment conducive to honest discussion and great questions that challenge group members to wrestle with the meaning of the text, its implications and applications. Thankfully there is help. 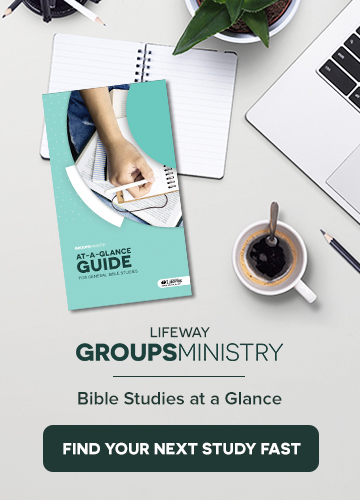 LifeWay has many Bible studies designed to help your group open up. 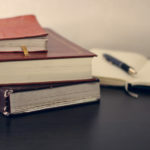 If you want a more customized approach to your group content, smallgroup.com has more than 1,500 studies with thoughtful, biblically faithful discussion questions that will encourage open discussion. But regardless of the content you choose, don’t be a slave to your notes. Allow yourself and your group members to wrestle with the text. Drew Dixon is discipleship strategist for LifeWay Christian Resources. He is also the editor-in-chief of GameChurch.com. He writes for WORLD Magazine, Paste Magazine, Christ and Pop Culture, and Think Christian. Follow him on Twitter @drewdixon82.